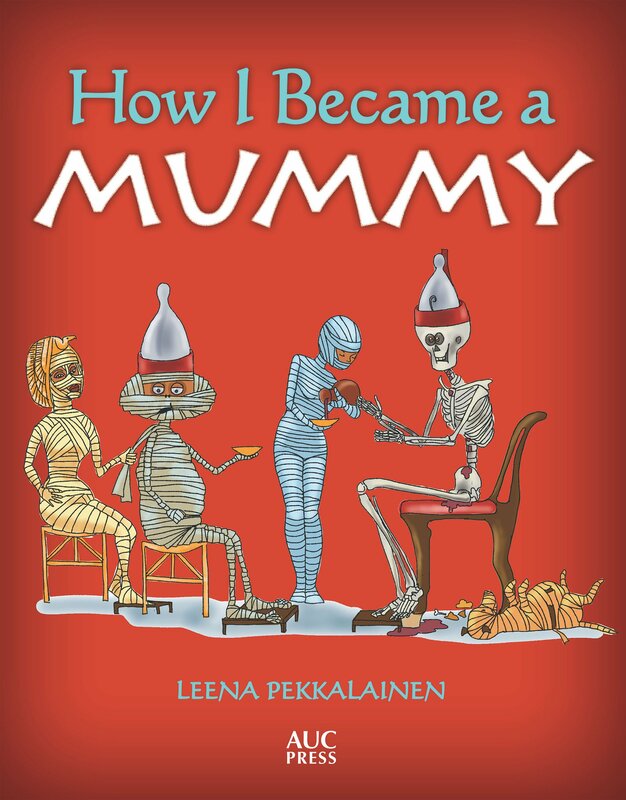 "how I became a Mummy"
Yes. 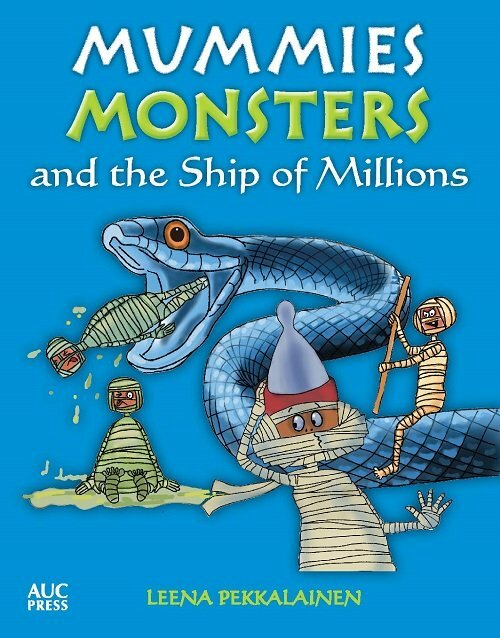 The first of the ancient Egypt books is by Mr Mummific. He dictated a book about how he became a mummy. I was allowed to be his scribe and illustrator. 80 pictures in all - we worked on this for 10 months. And now we are already writing the sequel. I loved ancient Egypt books since childhood. Of course Sinuhe the Egyptian was the first book I read on the subject - being a Finn, reading Mika Waltari's books was a given. 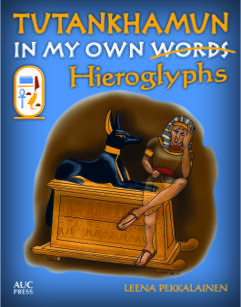 And as I had been writing since I could hold a pen (yes, that was before the time of home computers), I'm sure no one is surprised by the fact I write about ancient Egypt as well. 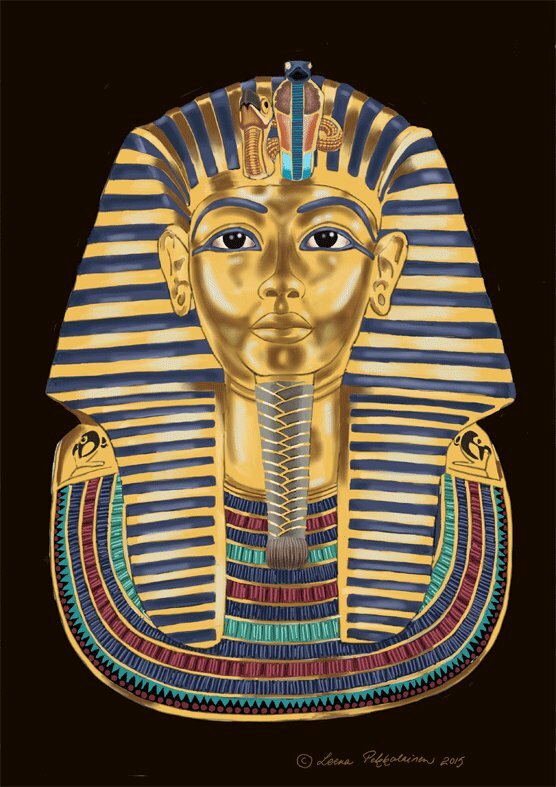 This is the page where I shall give you information about the novels I have written - and they have one thing in common: they are about ancient Egypt. I had this story line in my mind for years. I started writing it on several occasions, but never got further than a few chapters. I did not seem to have the energy. Well, there was a reason for that - I studied Egyptology for five years so all my time went to the studies. Also my father was very ill, and I never understood how much energy the illness of a loved one can steal from you. After the funeral it was like the floodgates had opened. The story burst out, and I had it written in four months - at the same time I was writing my final essay about the Middle Kingdom Nubian fortresses. It was like I had all the energy in the world. Then started the editing, which took its sweet time (I was in no hurry, I only wanted to write a good story). It took me two years in all to write this book. It moves on three time levels - ancient Egypt, ancient Greece, and our modern times. Dana's destiny is tied to human mythology - the story of the Nephilim, the descendants of angels. 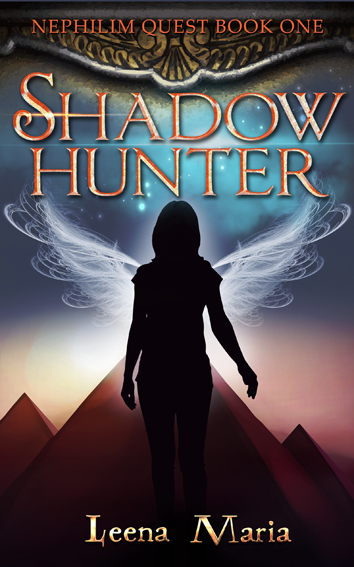 She has to prepare for a long journey in another time and place, following the clues written down in ancient Egypt, chased by creatures of darkness. 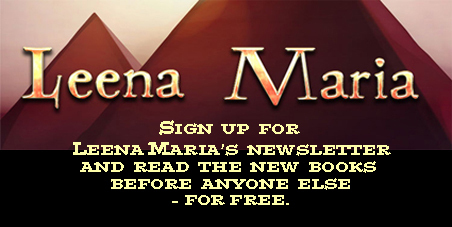 If you wish to keep up with what I am writing, you can sign in for my newsletter. 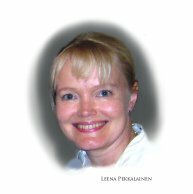 I have a blog, http://leenamaria.com where you can read about my writing, but if you simply wish to receive emails about my new books, and get a chance to read them for free before they are published, click on the picture below and leave your email address.